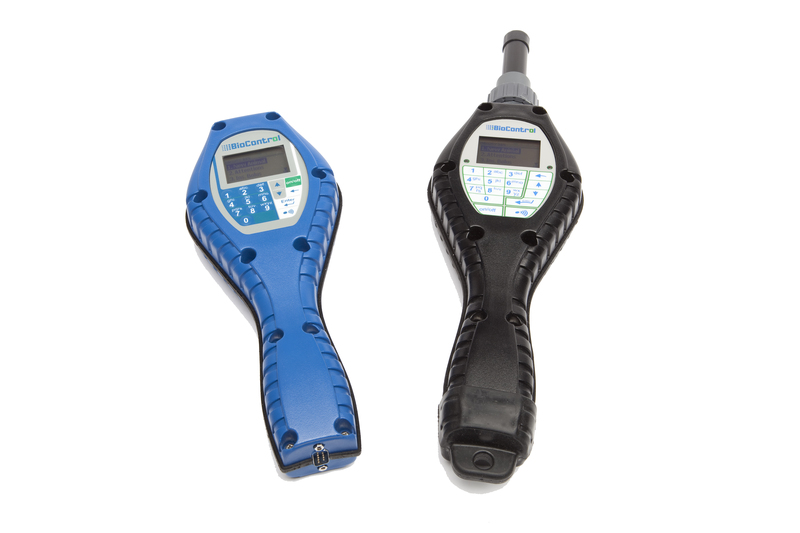 The HHR 3000 Pro V2 is an easy to operate Handheld Reader for ISO 11784/11785 HDX and FDX-B transponders. It is designed for on-farm use under real-life conditions and offers great reading performance, easy programming and a range of exchangeable antenna’s. The reader also can synchronise to stationary readers according to ISO 11785, and has audible and visual ID indication on a clear display. 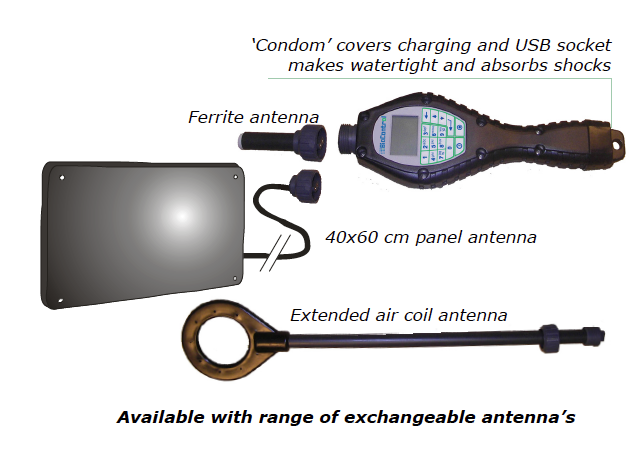 The air coil antenna ensures a superb reading distance, especially necessary for reading transponders on or in mature cattle. The 45 cm antenna extension allows you to get close to the animal without scaring it or getting injured yourself. A tone and light signal is given to feedback that the animal is read. 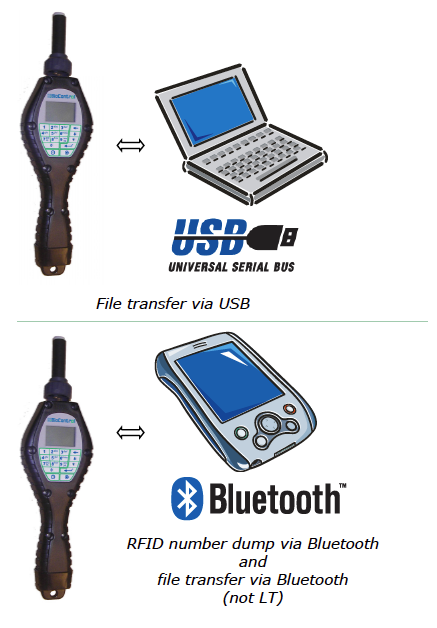 The reader uses Advanced Digital Decoding technology (ADD), which results in an optimal reading of both ISO HDX and FDX-B transponders. 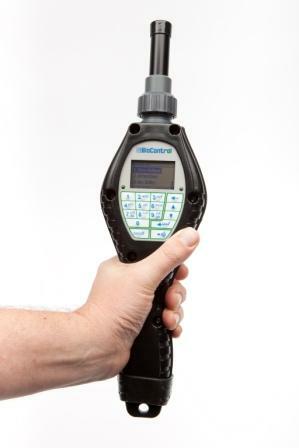 The HHR 3000 Pro V2 lies comfortable in the hand because of its balanced weight. The robust handgrip and used materials are designed to withstand a drop on the floor. The housing is ‘weather conditions’ water tight and can be easily cleaned with a wet towel. Its large capacity battery ensures a full working day without the need of battery charging during the day, or the hassle of changing batteries in the field. 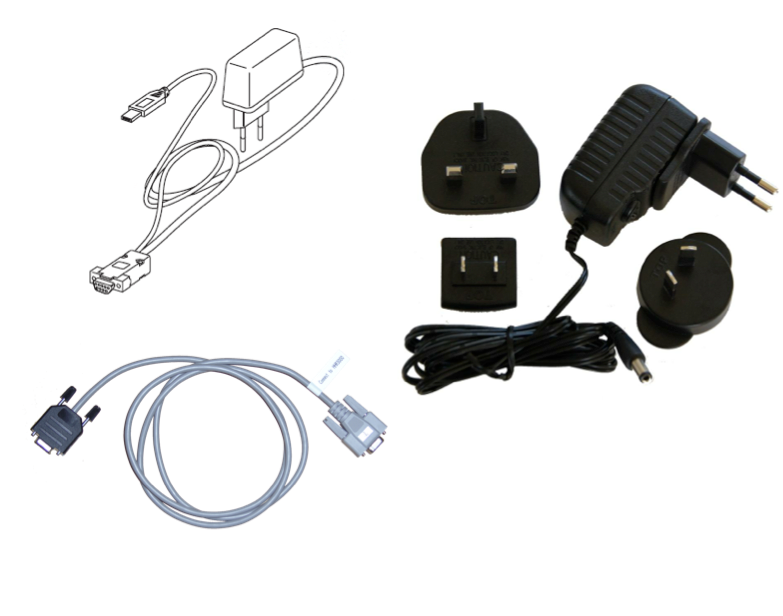 When the working day is over, the reader can be easily charged via a mains charger, or direct with the car cigarette lighter charger. 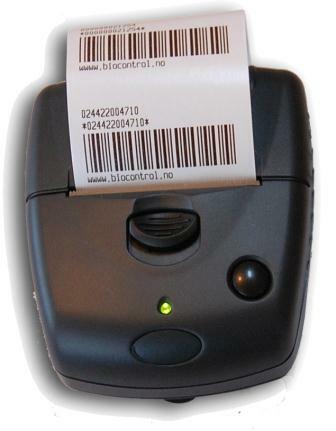 Available with handy 2” thermal portable printer for RS232 or Bluetooth which can print barcode sticker of RFID number. 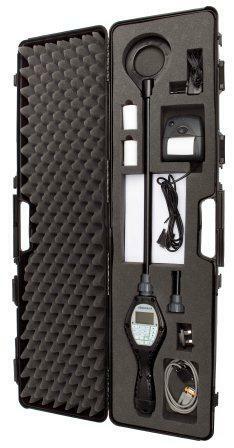 This is handy for recording milk or blood samples. It is also available with a strong transport case and kits and can import weight from leading weighing equipment (Gallagher, Iconix, Tru Test). The reader is standard equipped with USB and has RS232, Bluetooth and GPRS interface options. The reader is supplied with a basic PC program to exchange data between PC and reader. The application program is also easily uploaded from the PC via the USB interface. 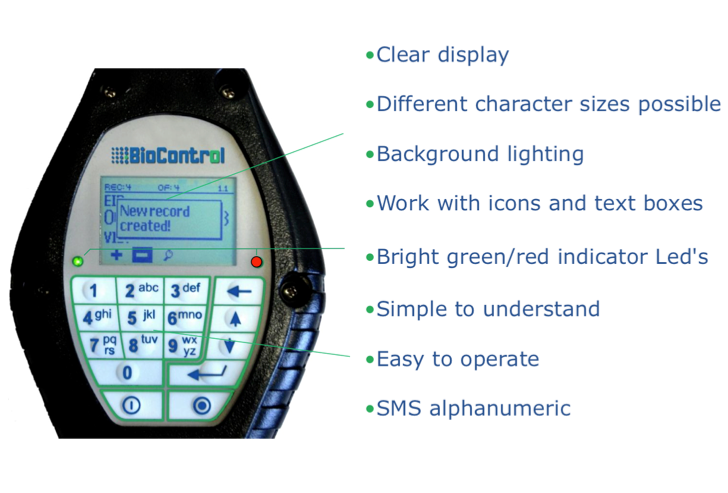 Various BioControl software available. Depending on your region/country. 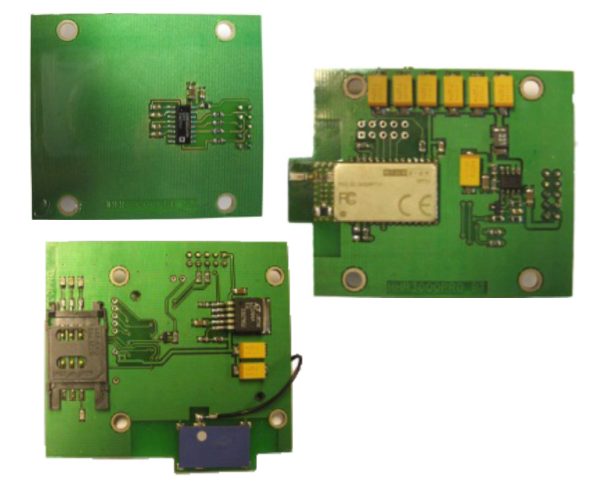 We also cooperate with software developers who use our HHR 3000. Contact us if you are interested in integrating our HHR with your software! 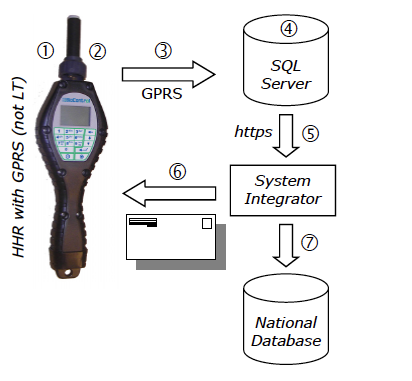 System Integrators can make HHR Application Program with ‘normal’ HHR programming tools and supply this to the farmer. 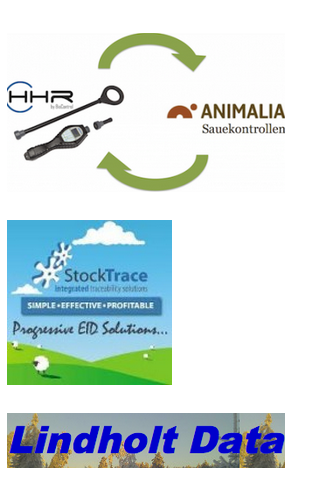 The farmer can record holding register, animal movements, treatments etc. on the HHR, as defined by the System Integrators and press “send” when ready. Data can be transferred via GPRS through local GSM Service Provider with low data transmission costs. The data goes to a SQL-server (can be BioControl server), for retreival by authorised System Integrator. The System Integrator can retrieve data from the server via secure https, and process recorded farm data record and makes data available to farmer in tailored solution (paper copy, fax, email, etc.) and send it to the national database if available.